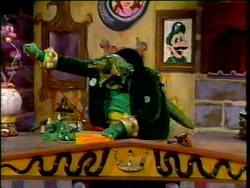 King Koopa's Kool Kartoons was a local television live-action Bozo the Clown-esque spin-off of DIC Entertainment's Super Mario Bros. Super Show! 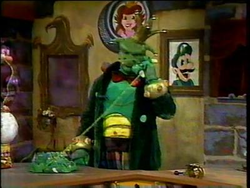 hosted by King Koopa (portrayed by Christopher Collins in 1989 and later Pat Pinney in 1990, both in a rubber costume and modified appearance-wise to be more believable for a live-action show). 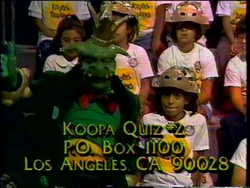 Koopa would interact with a live audience of children (called "King Koopa's Troopas), showcase cartoons from the 1920s and 1930s that were in no way related to the Mario franchise, and would even give away prizes such as certificates and NES accessories such as the Power Glove at the end of the show, which played out in a pre-recorded segment. 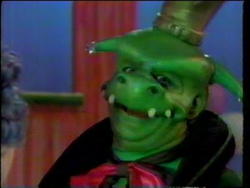 It was distributed by Fox Television Stations and was aired in Southern California on Los Angeles Fox owned-and-operated station KTTV 11 in the holiday season of 1989/1990 on after-school afternoons and ran for 30 minutes before being later re-aired on The Children's Channel in the United Kingdom. This was possibly done to gauge the show's popularity with children before potentially expanding it, but it was cancelled after only one season. Due to its poor reception and the show's failure to catch on, little footage of the show is available. Additionally, it likely hasn't aired in many places outside of Los Angeles. Currently, only the intro and the credits of an episode can be viewed, although RetroJunk user MlaconoSP claims to have recorded two episodes. As of 2017, he hasn't given any news since 2006. On August 4th, 2018, user Neeel uploaded 49 seconds of footage onto his YouTube channel. 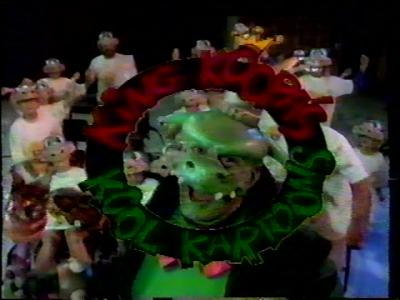 The footage was apart of a Thanksgiving marathon for Fox Kids in 1989. The intro and credits for an episode. 49 seconds of footage from King Koopa's Kool Kartoons. ↑ RetroJunk article on the show. Retrieved 06 Oct '13.